Together with the top champions Slazenger Heritage has contributed to writing the most exciting pages in sports history. 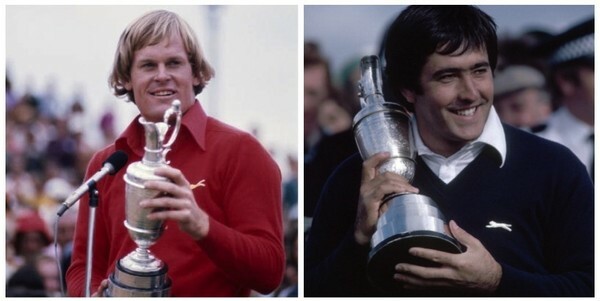 From the Slazenger Heritage soccer balls selected for the 1966 World’s Cup to the iconic V-neck jumper worn by not only by professional golfers in the 60s & 70s, such as Severiano Ballesteros or Jack Nicklaus, but also by Sean Connery in the classic James Bond film, Goldfinger. We aim to celebrate continuously the history of the brand by creating bold and elegant pieces for a sophisticated man with undeniable sportive spirit. Products that are instantly recognizable and clearly related to the original, yet very modern, wearable and totally up to date. Having this in mind, we create garments with a balanced fusion of retro and all-time aesthetic. Clean, uncluttered lines that redefine the old and make it new. We use sustainable fabrics and we maintain manual practices throughout our supply chain to obtain beautiful styles while paying attention to the every last detail.